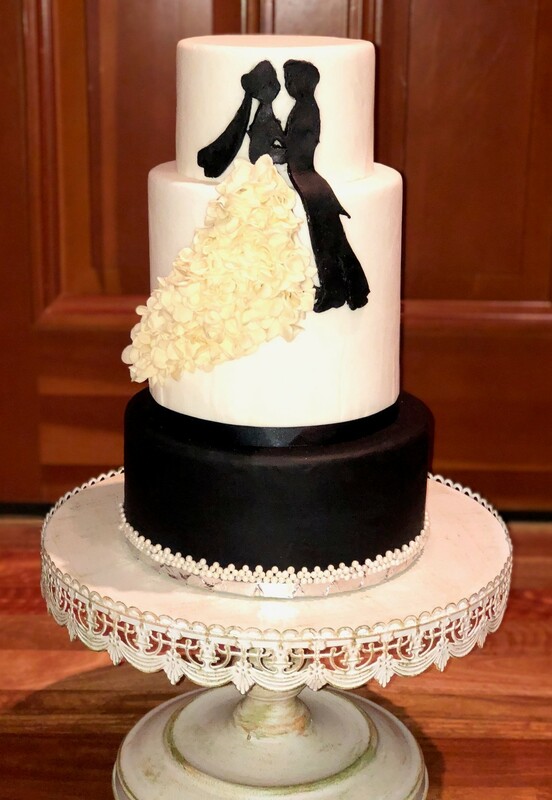 At The Last Bite, we are passionate about wedding cakes that are just delicious as they are beautiful – accompanied by exemplary service from our first conversation to the last bite of your custom creation. 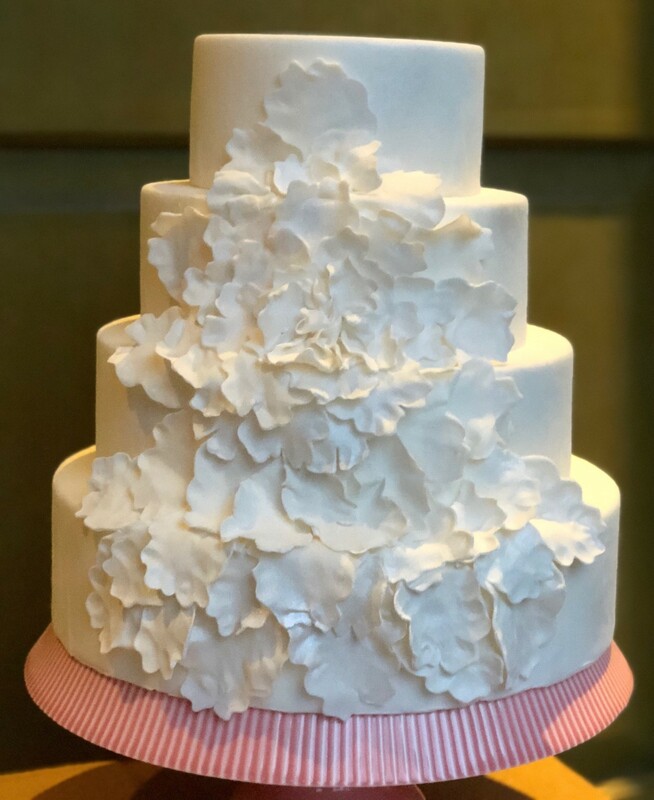 Since 2001, after graduating top in her class at Seattle Culinary Academy, head pastry chef Krissie Krebsbach has specialized in European-style wedding cakes that are both sophisticated works of art and exceptionally-delicious desserts. And because we believe in dessert that tastes as great as it makes you feel, we handcraft every component using organic, sustainably farmed, and locally-sourced ingredients whenever possible. 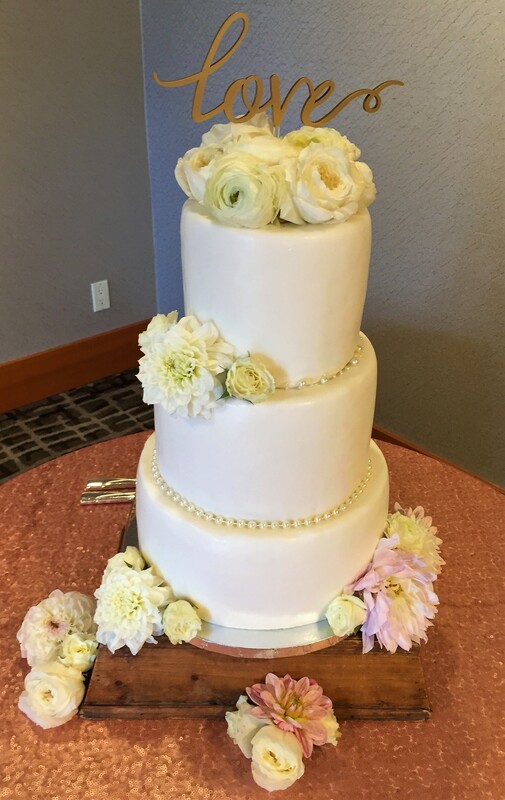 Krissie has the most delicious and amazing cakes in the PNW!!! When we first met with Krissie for a tasting we knew immediately that she was the one for us. She is so knowledgeable when it comes to flavor, style, and design but she gives you the freedom to choose absolutely anything your heart could want (and she has the ability to create anything you desire). She was beyond professional and responsive, answering all our questions very quickly. 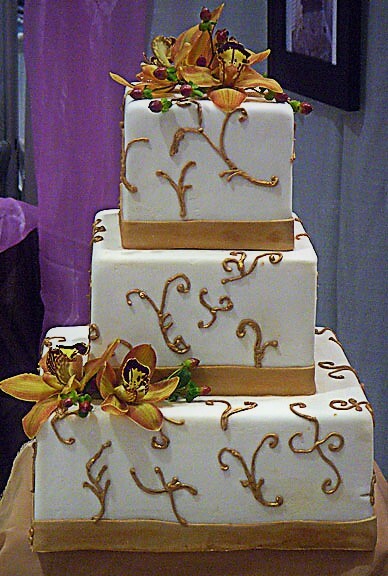 During our wedding reception and in the several days following we got so many compliments on the cake. 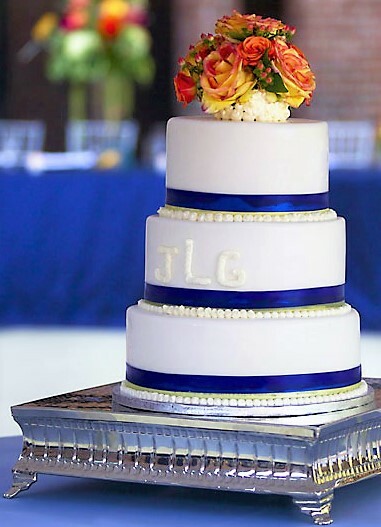 Not only one of the best cakes I've ever tasted but gluten free! 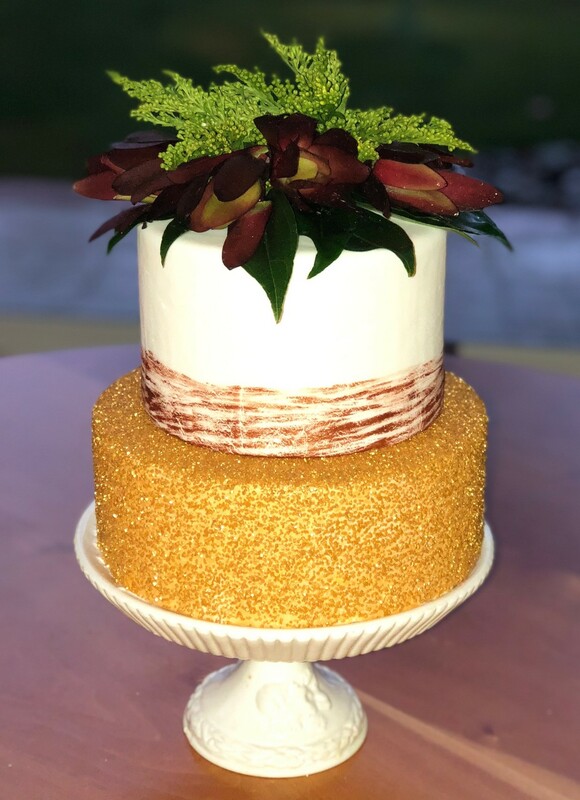 I was so delighted to be able to serve cake to my gluten free friends, who said it was the best gf [gluten free] cake they've ever tasted. 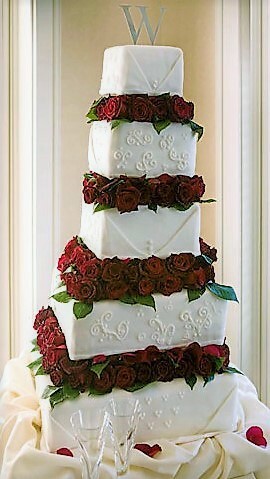 I still cannot believe there was no flour in it. Even if it weren't gluten free I would order again, as it was delicious and beautiful. 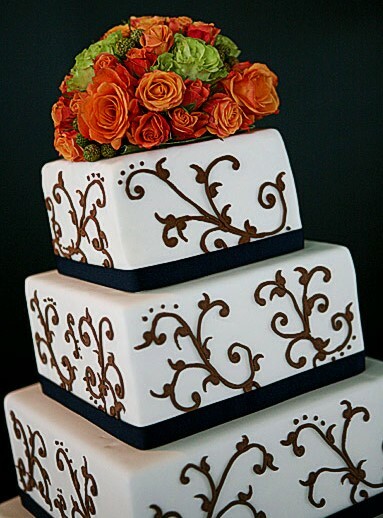 In addition to being an extremely talented baker Krissie is very easy to work with. Krissie from The Last Bite is amazing! 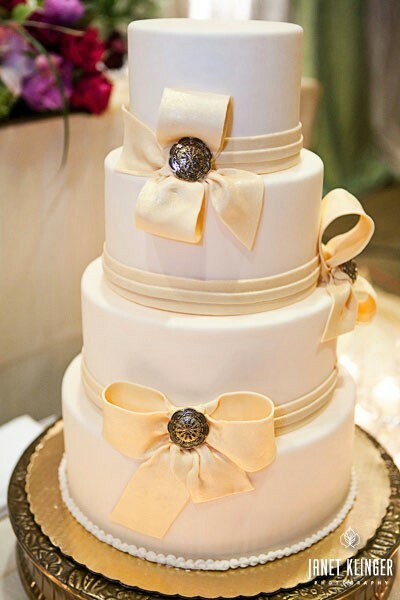 We had so many rave reviews about our wedding cake the night of and after! 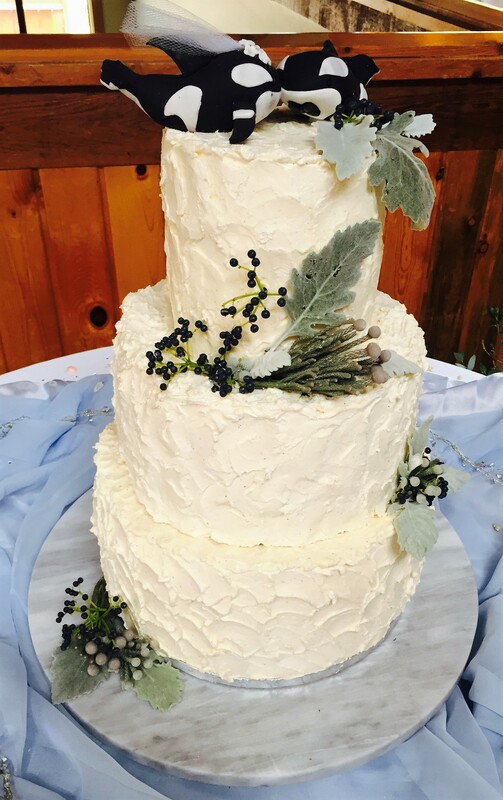 We still dream about having another slice :) Most wedding cake isn't usually the talk of the night, but this one will be one to remember! 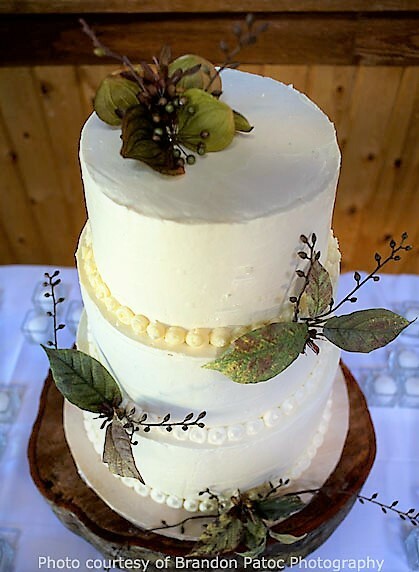 It had a lot to do with Krissie's style and quality ingredients… I'm SO pleased that we chose The Last Bite for our wedding cake. 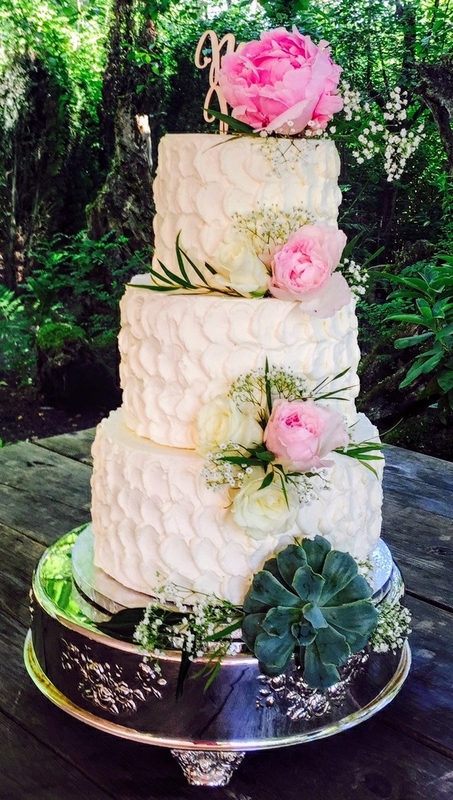 Krissie was amazing to work with and our wedding cake was delicious! 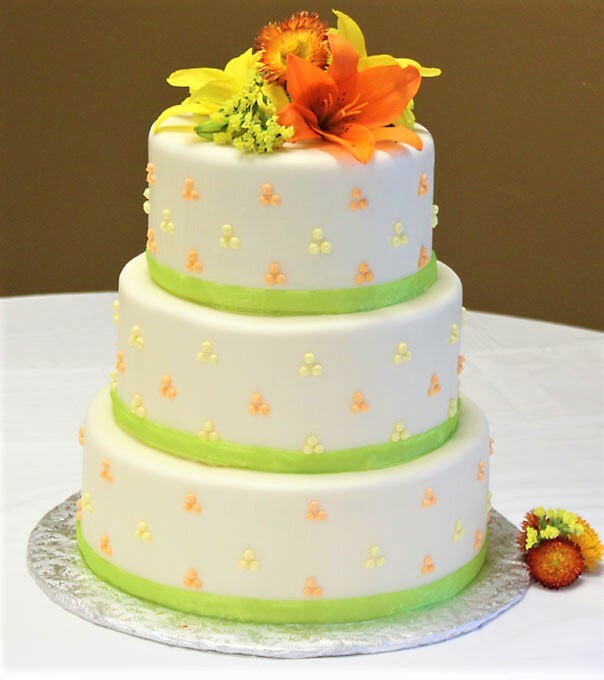 I had gone to a few tastings before finding Krissie and the quality did not even compare to the quality of Krissie’s cakes. 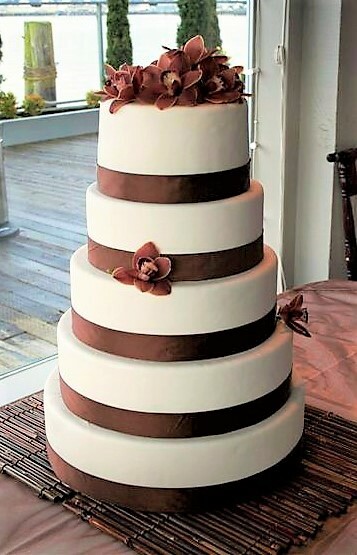 The time she spends helping you find the combinations of flavors you want for your cake is amazing and really shows she wants you to be absolutely happy with your cake. Krissie was always quick to answer any questions and with her knowledge and experience made this process so simple. 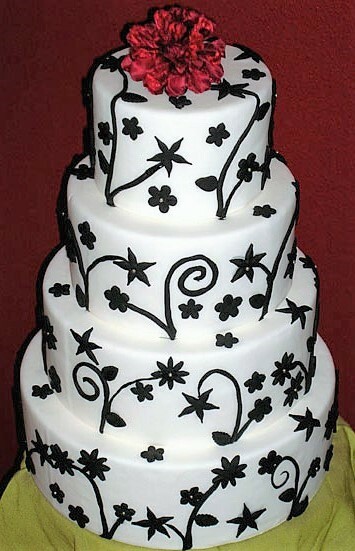 Our cake turned out beautifully!! 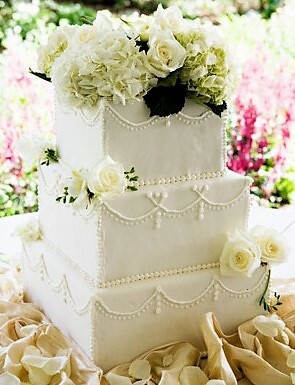 I wanted to write and thank you for the gorgeous wedding cake that you made for us. You were always so friendly and made everything so easy for us! 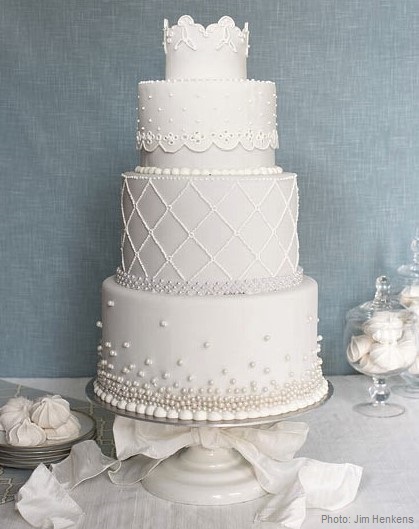 We really appreciate you making such a flawless and perfectly delectable cake for our big day! 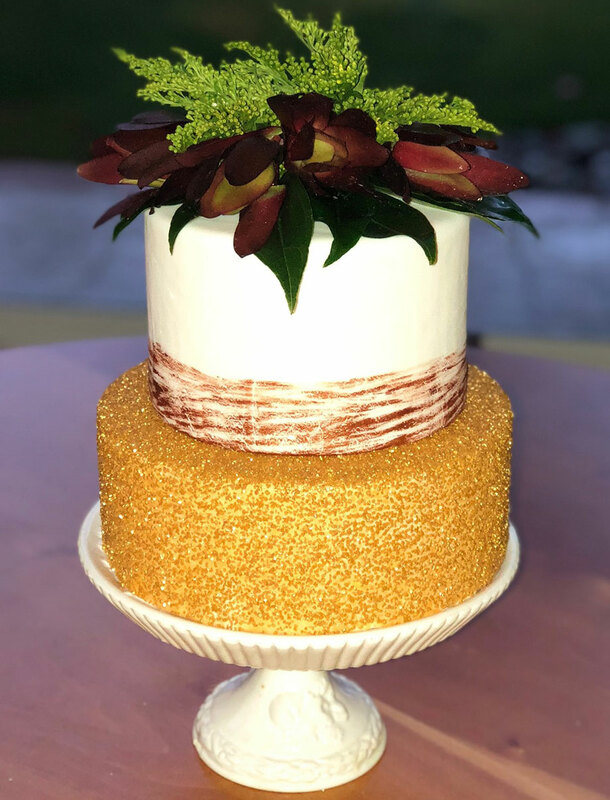 Everyone told us afterwards that they expected "just another run of the mill super sweet wedding cake" but were pleasantly surprised to find it was the most luscious cake any of us have ever eaten. Not only that but it was decorated so beautifully that the outside alone told us how much care and thought you put into making it. Thanks again for everything! 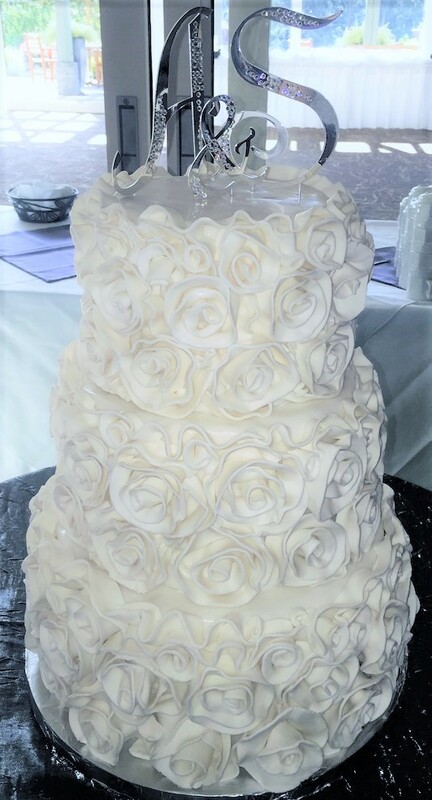 Our cake was amazing and perfect! 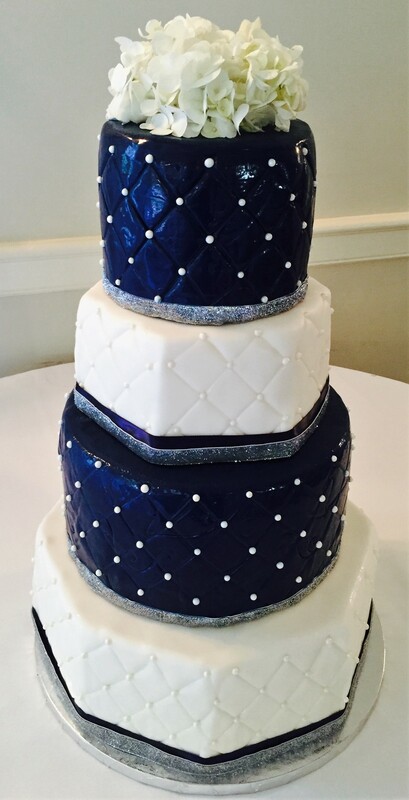 I wanted you to know that our cakes were the hit of the day. There wasn’t a scrap left and all flavors were truly delicious. 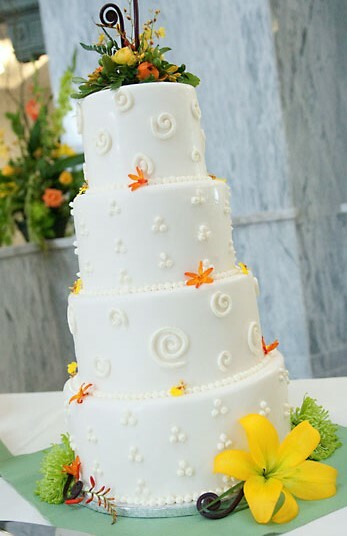 I have been at some many weddings where the cake gets left behind and it was wonderful to watch it all being consumed. The display was just as we wanted… We plan to be in touch with you again for family events as the whole family loved the cakes!